Mostly going by smell, I’m pretty sure this one is a sticky rice puer, which in the past has been one of my favorites. After making and drinking it, it definitely is. Pretty good, although I wouldn’t say it’s any better than the other kind of sticky rice puer that I’ve had in the past. 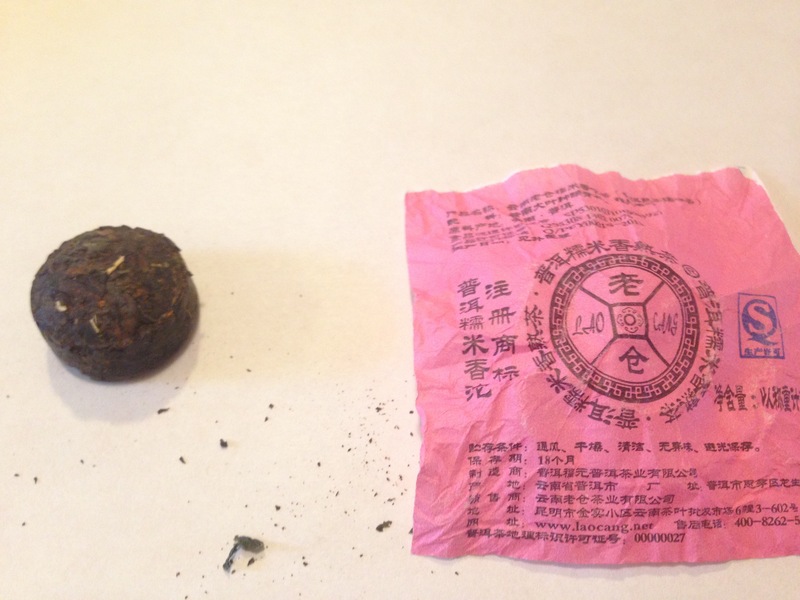 Still, a nice roasty-sweet sort of flavor with a earthy puer base. 01 Apr	This entry was published on April 1, 2016 at 2:15 pm. It’s filed under Brewing, Drink, Tea, Uncategorized and tagged andrew vochman, drink, food, introduction of heat, puer, sticky rice, tea. Bookmark the permalink. Follow any comments here with the RSS feed for this post.